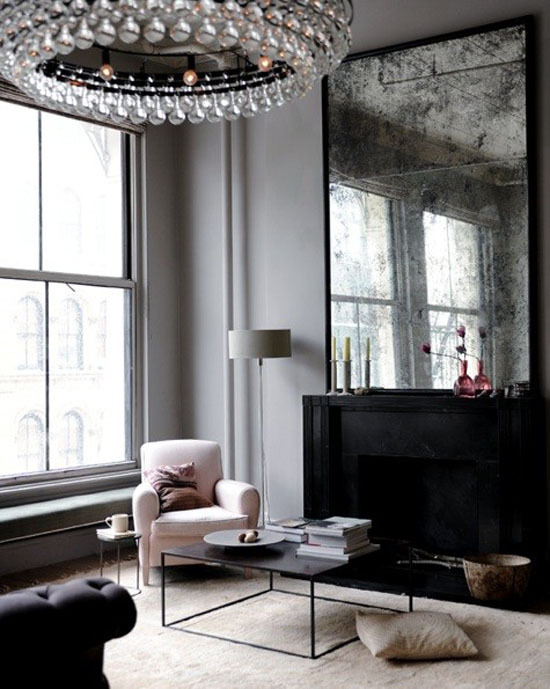 I love the moody color palettes of these charcoal grey living spaces. 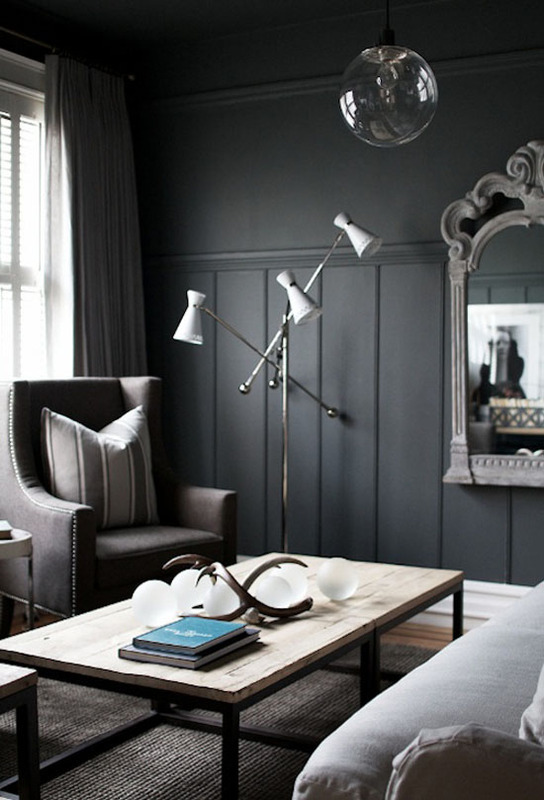 While I definitely prefer lighter, airier rooms, these dark hues give off the sense that a winter storm is rolling in. And all I'd want to do is cozy up with a warm fire, a cup of tea, and a cashmere blanket. Agreed. These look wonderfully moody, like you'd want to be reading Jane Eyre in there. I feel like I'd never get anything done in a space like this because it's so low energy. Good call about the Jane Eyre, Jackie! I agree. I normally go for lighter palettes but this would be perfect for an office or study. gosh that aged mirror is insane! I love it! Those rooms have an oddly calming effect. They seem so cozy! im with ya. i would be incredibly lazy in both of these rooms, but oooo i can just imagine curling up with a book and some tea with the fire going. heaven.